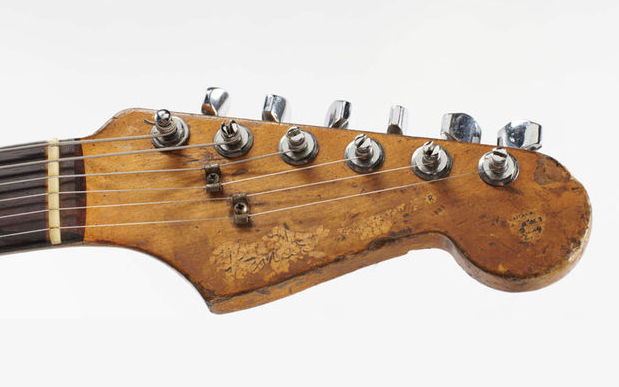 Rory Gallagher’s 1961 Fender Stratocaster with the serial number of 64351. Bought on credit from Crowley’s Music Store in Cork in 1963 for £100, this is the guitar that formed the bedrock of Rory’s sound and became synonymous with the bluesman. 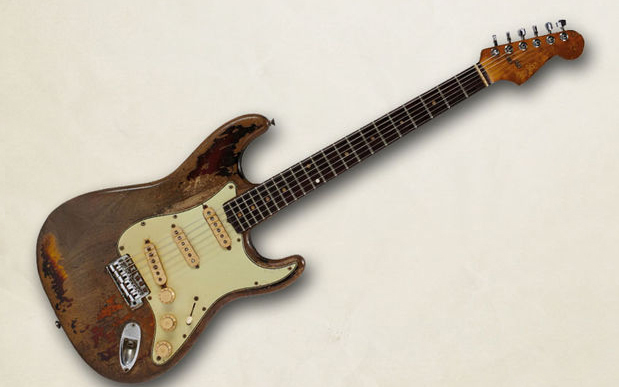 It was also possibly the first Fender Stratocaster to reach Ireland. Almost all of the original finish is gone, due to the heavy use, and a medical condition that caused Rory’s sweat to be acidic, which would wear away the thin nitro finish.